Carlos Takam can hold his head high. He may have become the 20th victim of an Anthony Joshua stoppage in Cardiff on Saturday night but most fight fans believe the referee's decision to wave the bout off was premature and, before to the tenth round, the challenger had eaten Joshua's best shots and continued to come forward. 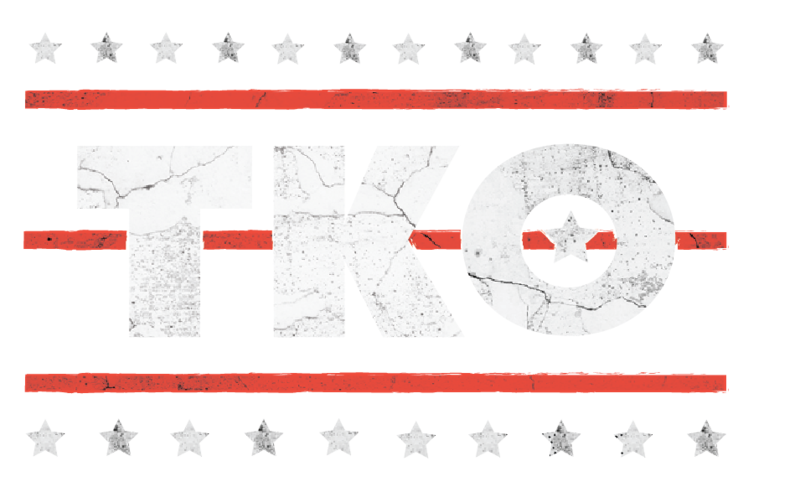 Despite the crimson fog through which he was fighting due to nasty cuts around both eyes, Takam didn't take the several opportunities to quit which presented themselves when the ringside doctor asked if he was able to continue. Takam is a warrior and rightly protested the stoppage but he has gone up in the estimation of every viewer who tuned in to watch the battle in the Principality Stadium. 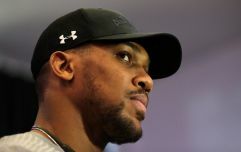 The 36-year-old was praised by both Joshua and promoter Eddie Hearn in the immediate aftermath of the fight but, as much as 'AJ' respects Takam, he was stunned to learn that the Cameroon-born heavyweight had taken a round. "He came very close to beating Joseph Parker in New Zealand," Hearn said of Takam during the post-fight press conference. "And I think he won one round tonight on the cards." That prompted a puzzled "Did he?" from Joshua, who clearly felt he had claimed every single frame of the fight. But two of the three judges' scorecards prove that Takam did indeed win one round, with both Pawel Kardyni and Michael Alexander giving Joshua a 89-81 advantage by the time the stoppage arrived, while Ron McNair saw it as a perfect 90-80 evening for the champion. 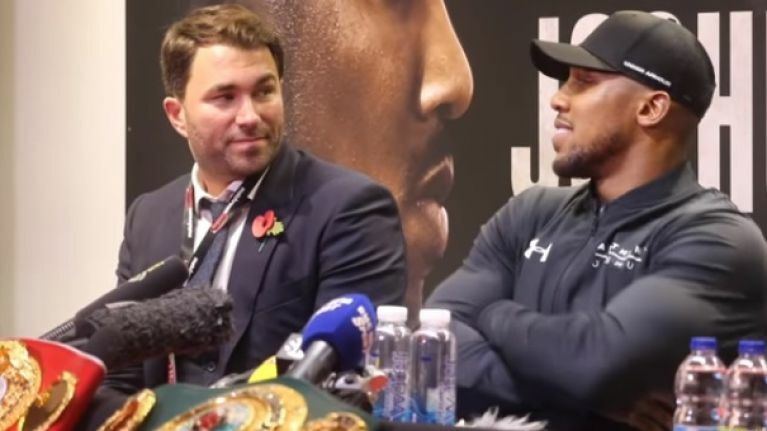 "I have no interest for what's going on with the officials," Joshua said of the stoppage. "My job is the opponent. "I don't have control over the ref's decision. "It was a good fight until the ref stopped it. I have the utmost respect for Takam." Carl Frampton on third Leo Santa Cruz fight: "The f**ker won't fight me!"